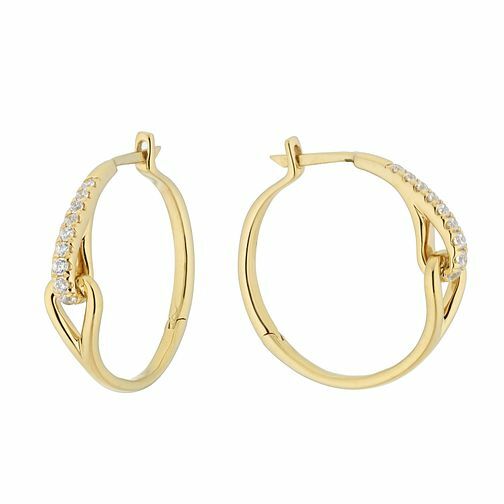 Hoop earrings are an essential for every stylish lady, this stunning pair of 9ct yellow gold hoops present a unique and updated take on the classic design. An elegant intertwining design features a row of dazzling dainty diamonds and cut-out features, a fashionable and sentimental pairing. The total diamond weight of these earrings is 0.15ct. Stunning and sentimental jewellery from the Love & Be Loved collection.